The modern-day Headcorn airfield has grown from the former wartime Lashenden Advanced Landing Ground. The museum presents wartime Lashenden and aviation in Kent, including parts from a large number of aircraft wrecks. 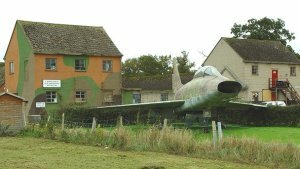 At Headcorn Aerodrome, nine miles south of Maidstone on the A274 in Kent. Open Sundays and Bank Holidays 10.30 am to 6.00 pm, Easter to October 21st; Sundays 10.30 am to 3.30 pm, late October to Easter. Free but donations to RAF charities welcomed. Toilets, Parking, Cafe, Souvenir shop, picnic area. Notes: Westland Whirlwind HAS.7 XN380 has now moved to RAF Manston, Vampire T.11 WZ589 has moved to Rochester, Kent. 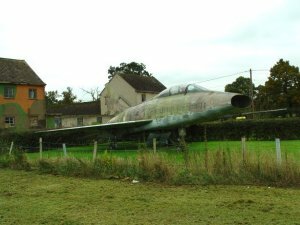 North American F-100F Super Sabre 63938 has been scrapped after being hit by a taxying aircraft and seriously damaged. Vampire T.11 WZ450 has been sold and moved off site. 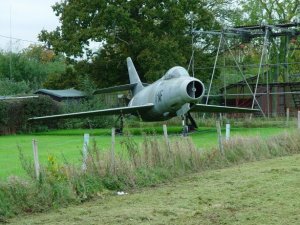 Lashenden Air Warfare Museum, Headcorn Aerodrome, Headcorn, Ashford, Kent, TN27 9HX. 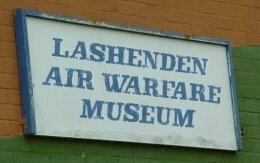 Tel: 01622 631799, e-mail: lashendenairwar@aol.com, website: Lashenden Air Warfare Museum. Thanks to Keith Mason of Shoreham Airport Society for supplying the photos on this page.